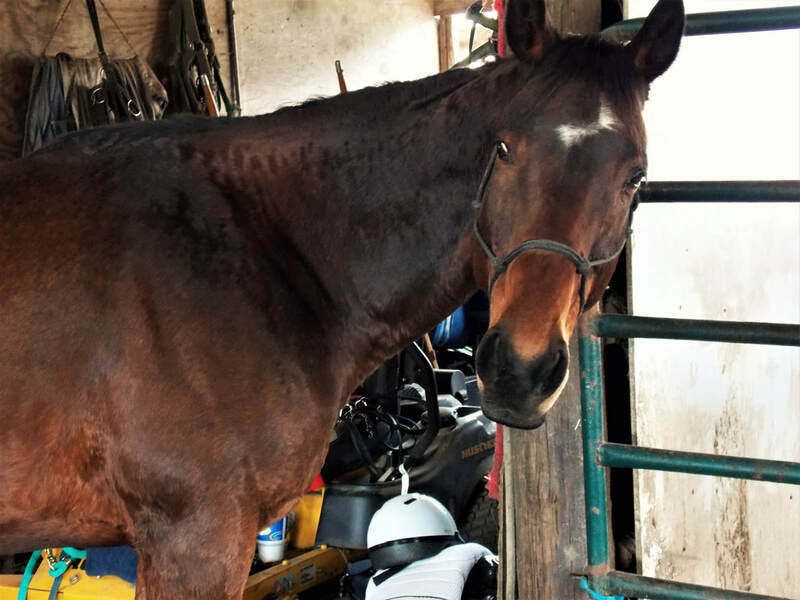 Nova is a retired Culver Academy horse. She is an 13 year old red bay approx. 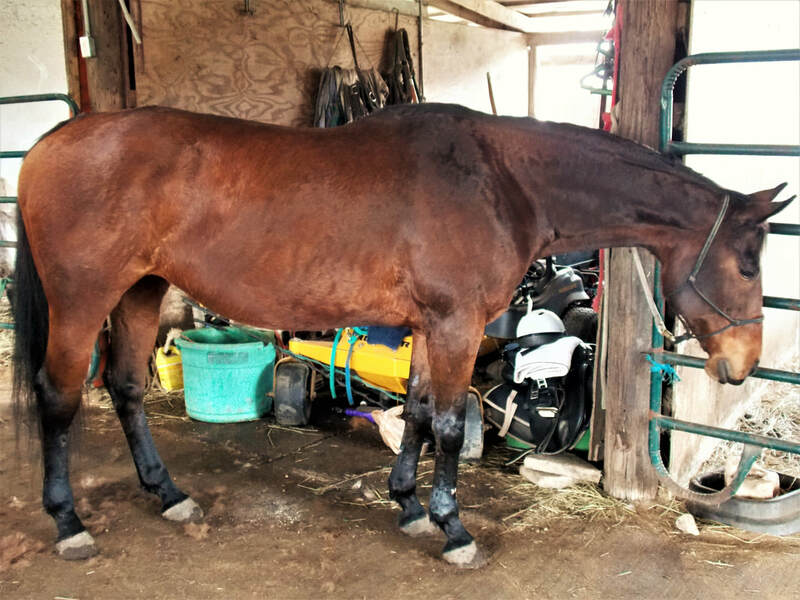 16hh Thoroughbred. She is extremely reliable. She rides the same today as she has months before with no riding in between. She also lunge well and gets excited when she can move freely; but is all calm business during her rides. She does have hip to stifle stringhalt which pulls on her lower (hind) back. She has received 2 chiropractic care appointments which worked wonders for her. I predict that with regular light riding she will stay more limber and have less problems. She also has bone spurs on her knees that are not giving her problems thus far. And due to likely previously bad fitting saddles she gets cinchy or girthy when tacking up but relaxes once she realizes she has a well fitting saddle. ​I am working carefully with her and have started on aerobic training to get her muscles working. She has a smooth and slow trot that is similar to a quarter horses' jog and a smooth slow walk. I am waiting for the mud to solidify before I ask for a canter. I also stretch that hip and stifle by working with her on the ground by getting her hind legs to cross over in the front while pivoting on her front end (turn on the forehand). She will be great as a "weekend" horse. Someone who wants to pleasure ride and only has time on the weekends for her. If so, don't dismay! She will ride just the same despite not riding during the week.